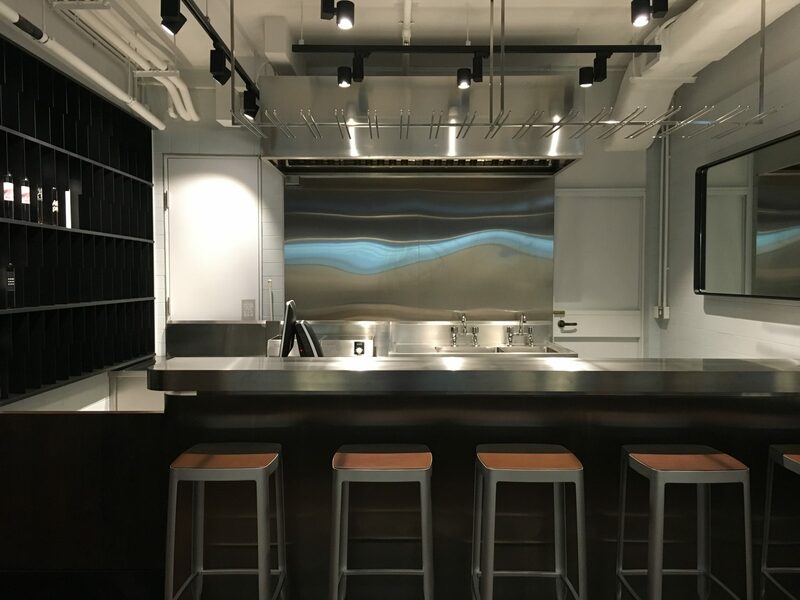 The Experimental Kitchen has two missions – first as a low-rent short-term experimental medium for up-and-coming chefs to have a taste of the culinary business; second as a library of good wine-label designs. It is housed in a heritage building converted from a police married quarters, which is composed of multiple 7m x 4m rooms that are linked with small door openings. 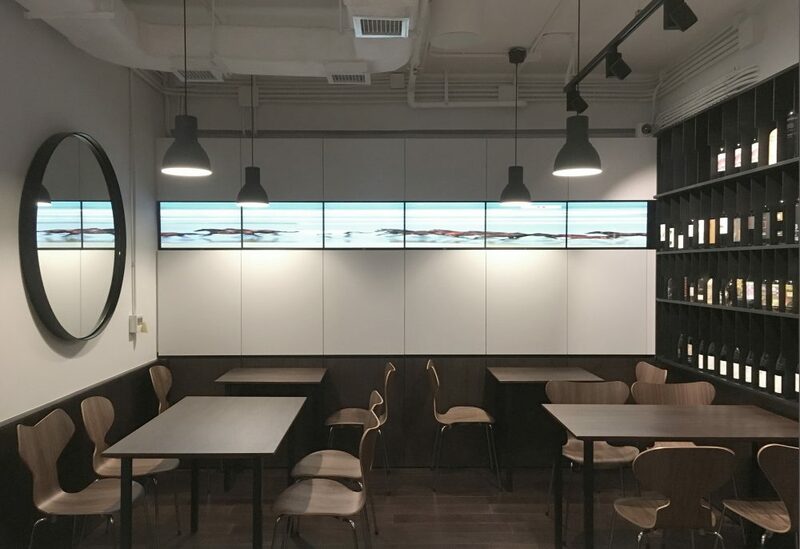 The design enhances the intimate quality of the venue through the use of dark walnut flooring and dado to contain the dining areas, and light grey walls for a calm and controlled ambience. 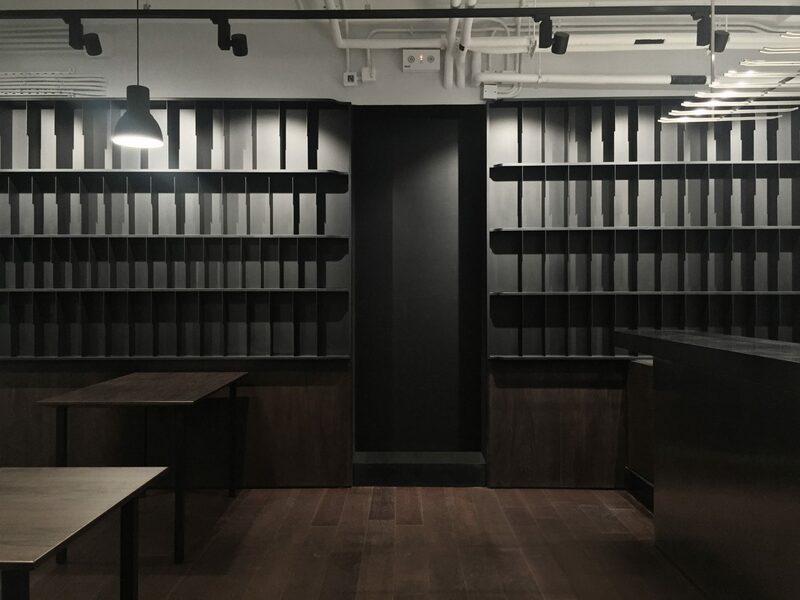 Matte black steel wine racks run longitudinally along two opposing end walls of the restaurant. 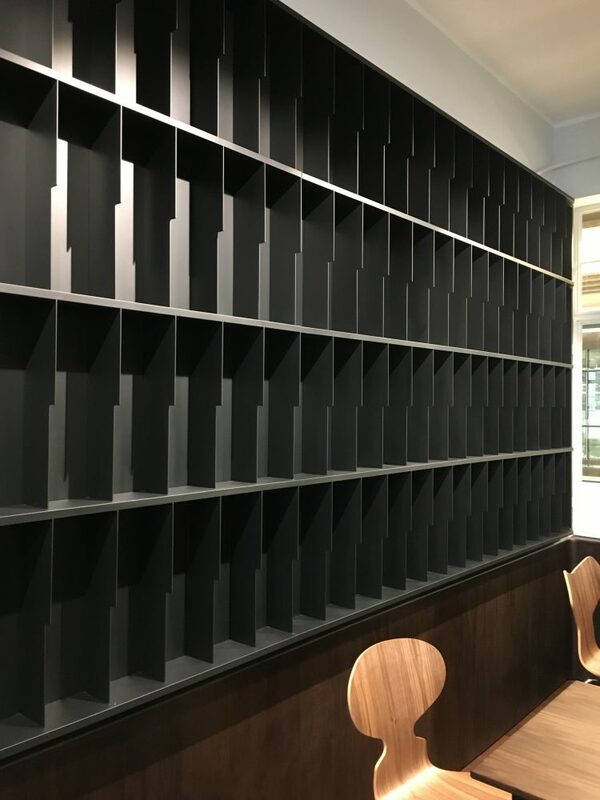 The rack is designed with vertical divisions recalling the form of bookmarks, giving each individual wine bottle a discrete display, while the dark tone and order build up the austere character of a formal library. Large round and rectangular mirrors add a visual space and reflections. 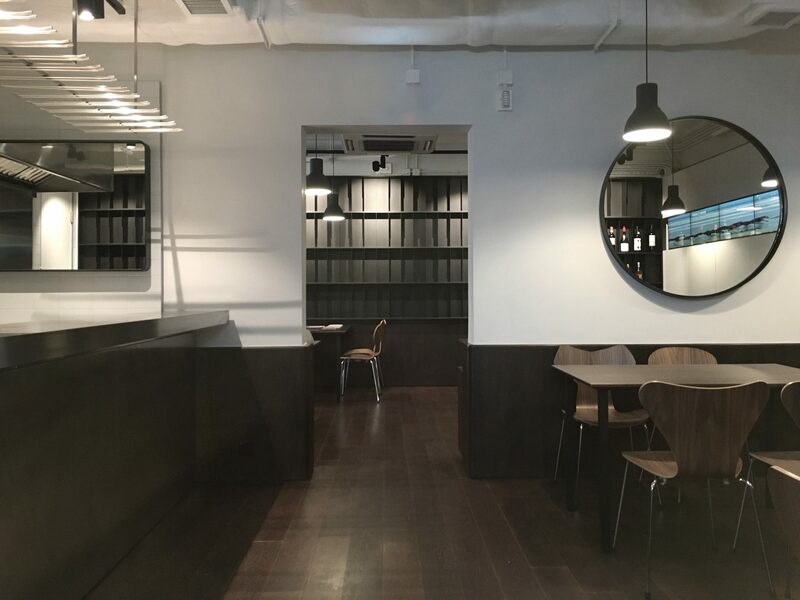 Walnut tables and chairs cohere with the setting; a simple stainless steel bar counter subtly marks the wine-tasting area. 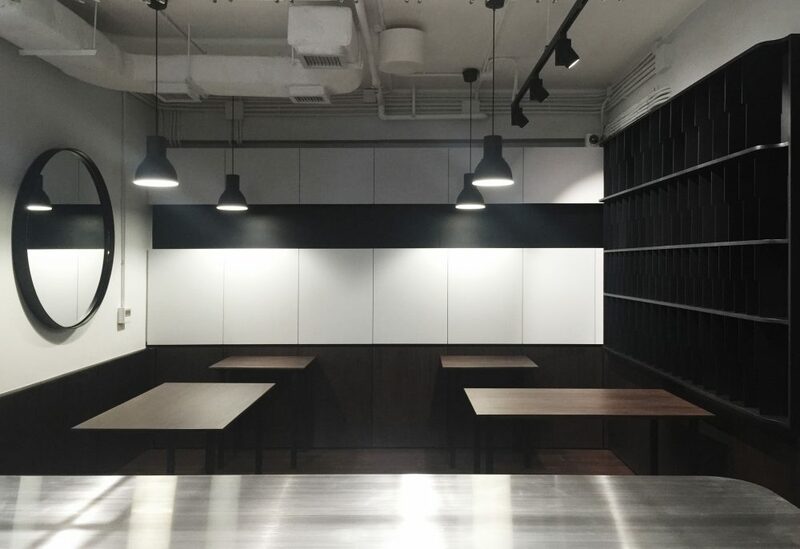 The lighting layout can be reconfigured with simple ceiling hooks to adapt the table arrangement for banquet dining. Kitchen Licensing Consultant & Equipment Supplier: OMA Kitchen Equipment Co. Ltd.